We recently visited Show & Tell, the Art and Design Show at Staffordshire University, – which celebrates the work of graduating students. We were impressed with the high standard of work in the exhibition, inparticular the University’s Graphic Design degree that reflects the diverse nature of contemporary visual communication. This course has a unique emphasis on creative visual thinking and craft, producing highly versatile and original practitioners. This ethos spectacularly captured in this well crafted piece by Hakim Mahamdallie. 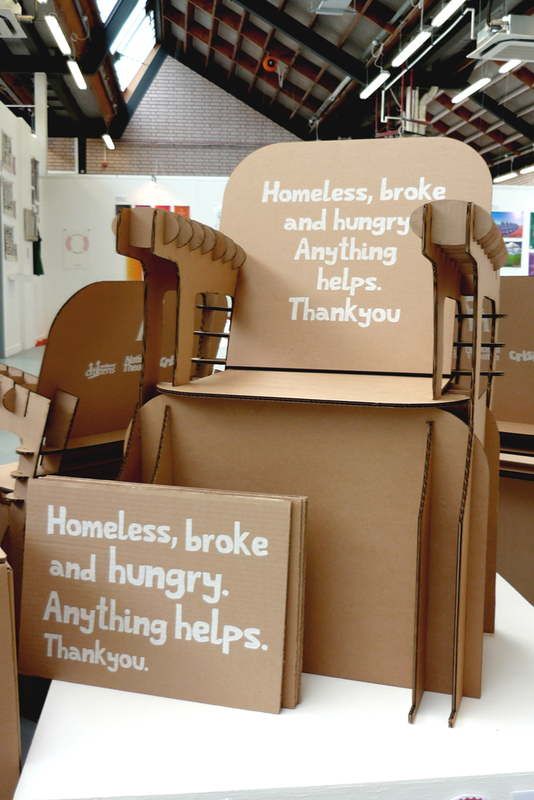 Fellow BA(Hons) Graphic Design student Kate-Parkes worked to the open brief of 1+1=3 and created an exceptional project for a Takeaway Theatre Chair, where the cardboard chair becomes shorthand for the issue of homelessness. 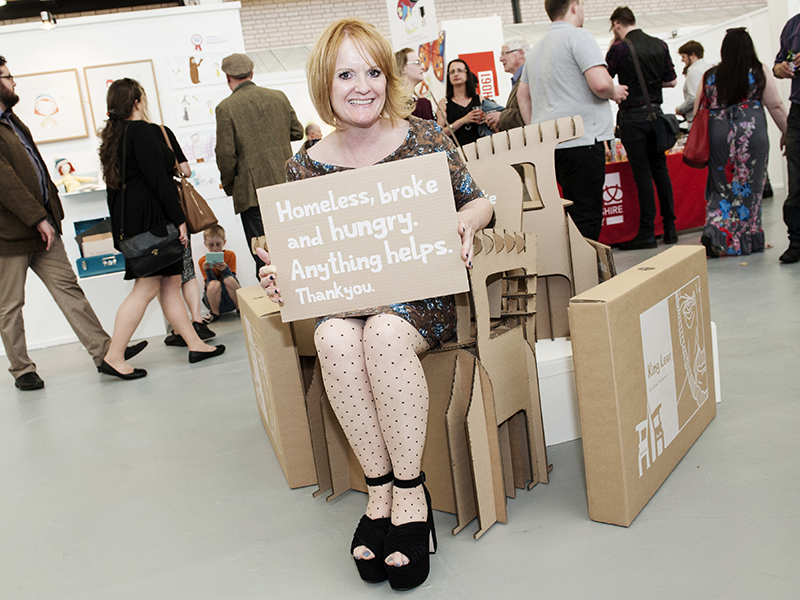 Her design is a ‘takeaway theatre’ to be used as a fundraising initiative for the homeless charity Crisis. 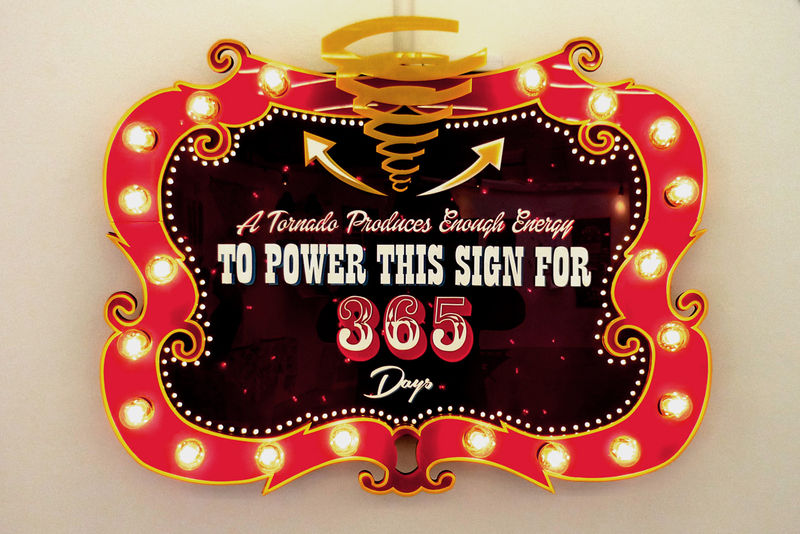 Parties and groups would be encouraged to purchase the flat pack theatres. The Takeaway Theatre Week would kick-off a season of events to raise funds and awareness for homeless and displaced people in London. 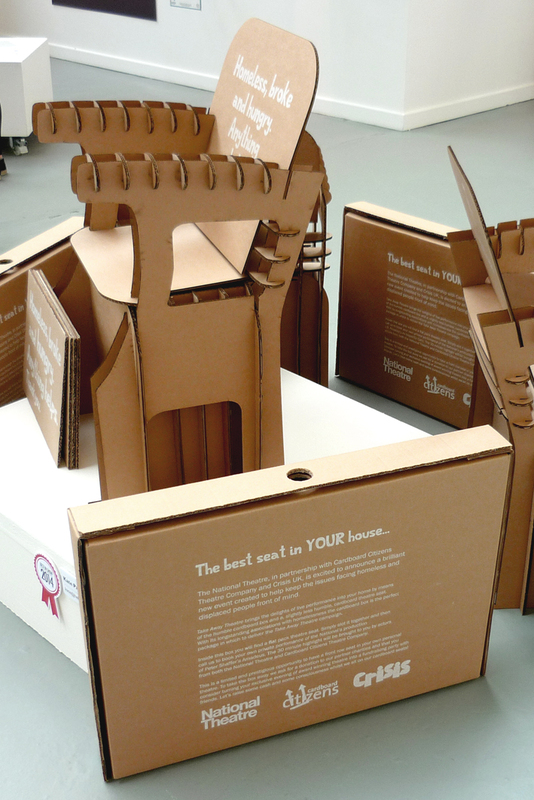 The cardboard theatre seat provides the benefactor with a front row seat in their own private theatre with performers from the National Theatre.